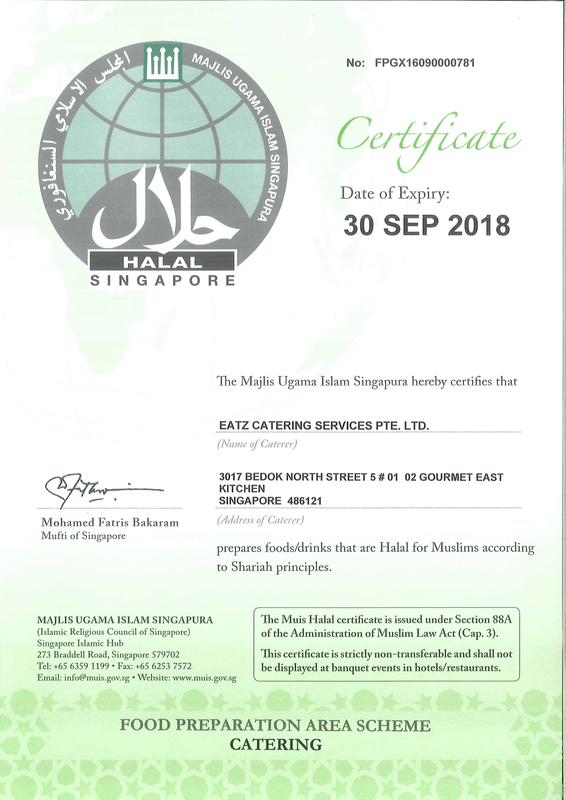 Thank you for choosing eatz Catering Services Pte Ltd as your Singapore catering partner. In our quest to be constantly improving, we’d like to know how we fared as your caterer. We would appreciate if you would take some time to rate our performance. Thank you again and God Bless! Mum's cooking! B-plus Pass Tasteless! Overall Experience Award! A+ 8 7 6 5 4 3 2 F! Compliments / Complaints / Comments?